Ridza graduated with a Bachelor of Laws (First Class Honours) degree from the International Islamic University, Malaysia. He is also a graduate of the Institute of Chartered Secretaries and Administrators (London). 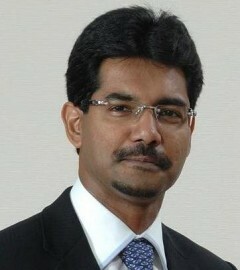 Ridza is an advocate and solicitor of the High Court of Malaya and was called to the Malaysian Bar in 1993. He is also an associate member of the Chartered Institute of Arbitrators , a certified adjudicator and also a panel arbitrator with the Kuala Lumpur Regional Centre of Arbitration in the area of Islamic Banking and Finance. Ridza is now the managing partner of the firm Mohamed Ridza & Co.
Ridza has advised on a wide variety of corporate, financing and commercial matters including major state and federal privatisation projects . His cross border experience ranges from countries like Singapore, China, the Middle east, the Philippines, Libya, Morocco, Australia, Canada, South Africa, Brunei, Indonesia, the US and Turkey. He has also represented Malaysia in international debating competitions and was champion of the Great Debate between Oxford and Cambridge in April 1994.
he currently sits as an independent director of several public companies including a bank and also their respective audit committees. He has also co authored two books titled the ” Law and Practice of Islamic Banking and Finance and “Sukuk Islamic Capital Market Series ” published by Sweet & Maxwell Asia. Ridza was named one of the world’s leading islamic finance lawyers as voted by his peers in the industry.